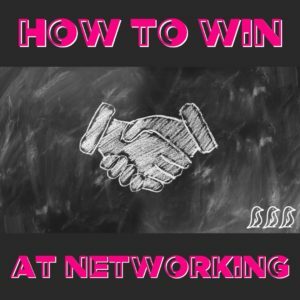 Networking can be hugely beneficial if it is done in the right way. When we hear the phrase “business networking,” we picture a room full of men in suits swapping business cards & reciting canned elevator pitches. However, you can set yourself apart from the crowd in a professional & memorable manner by doing a few simple things. It is more beneficial for you to take the time to listen & engage with the person that you are meeting than to simply talk at them. People are often very quick to let their guard down & open up when they see that you are genuinely interested in what they have to say. This gives you an opportunity to ask them questions about themselves & their business. It gives you the chance to gather information & uncover some of their struggles that you might be able to help alleviate. Once this new contact has told you more about their business, it is your turn to provide value in some way. Maybe you can help this person directly, maybe you know of someone who you could refer them to, or maybe you can just relate to them & acknowledge what they just told you. Oftentimes a fresh, outside perspective can be very helpful so don’t underestimate the value in re-framing what they just told you & showing them that you understand where they are coming from. Once you have the conversation, take this person’s business card, & then take the time to follow up with them. Maybe remind them of the conversation that you had, send them any relevant articles or resources that they may be able to use, & show them that they are still on your radar. It is very easy to find a business’ website & social channels, & then you can provide some personalized compliments to them. You may even want to take this as an opportunity to set up a meeting, or you can simply leave it as a nice point of contact that will be memorable & genuine.